Shipping costs are calculated depending on the ship-to locations, package type, weight and shipping service, among others. 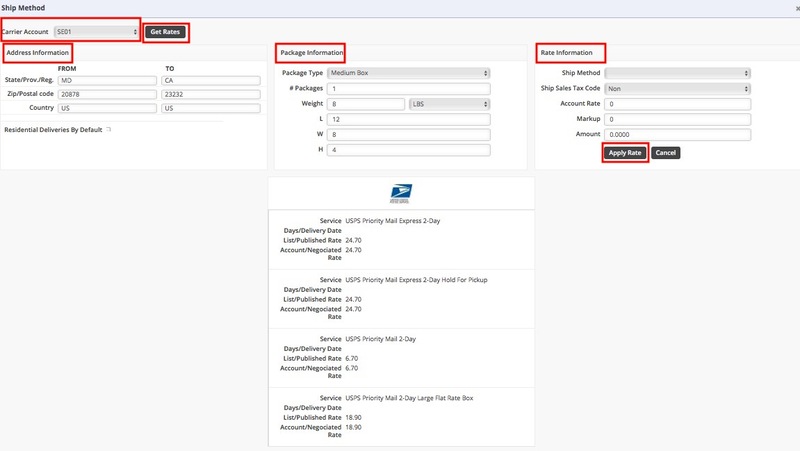 With these factors and given a specific carrier, Order Time provides a functionality that gives you options for estimating shipping costs. 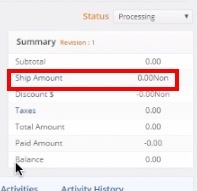 Once shipping carrier accounts have been setup, Ship Methods can be linked to services provided by one of the carriers, in all sales documents. When you click the Ship Amount link under Summary, the Ship Method screen will appear. In the Ship Method screen, select the Carrier Account. Click the Get Rates button. The shipping estimates will be displayed on the screen. Fill out the fields under the Address Information, Package Information and Rate Information. The Summary section will be updated with the Shipping Method and the corresponding amount.